"Before, I was one of the latest people to harvest. Now I am one of the earliest." Ott says. He feels he is able to achieve physiological ripness earlier, without getting overly high levels of sugar that would result in high alcohol wines. Bernhard Ott is a cult icon in the world of Austrian wine, leading the way in the Wagram region through meticulous vineyard management in some of Austria's best vineyards. 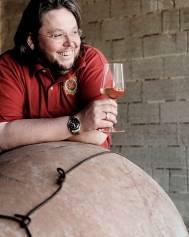 At a young age he has already received Austria's highest accolade as Falstaff's Winemaker of the Year in 2008.